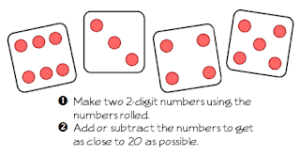 Are you a 2nd or 3rd grade teacher looking for a FREE Christmas math activity to use this December? 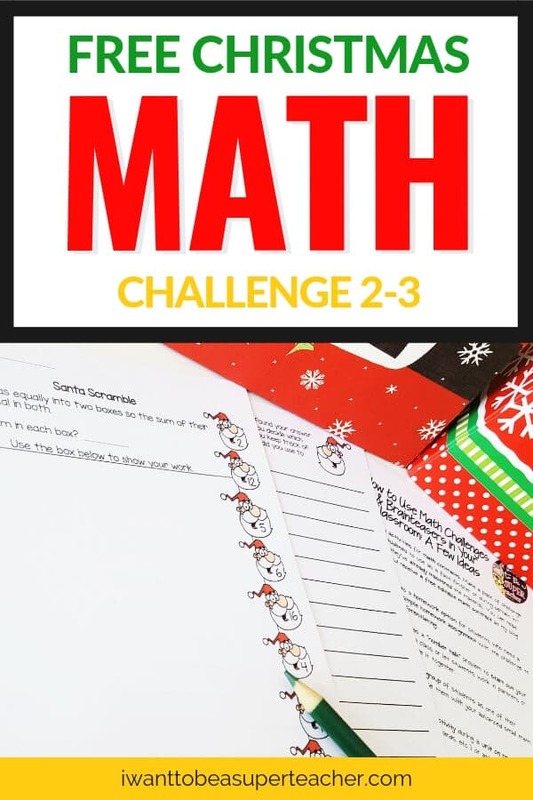 Try this holiday themed math challenge problem! This “Santa Scramble” Christmas math problem is perfect for your advanced 2nd and 3rd grade students. 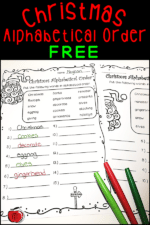 You can use this free math printable for holiday math centers, homework, problem of the week, a whole class number talk, a small group math assignment, enrichment contracts, or as a December center activity. It’s FUN for kids and NO PREP for you! 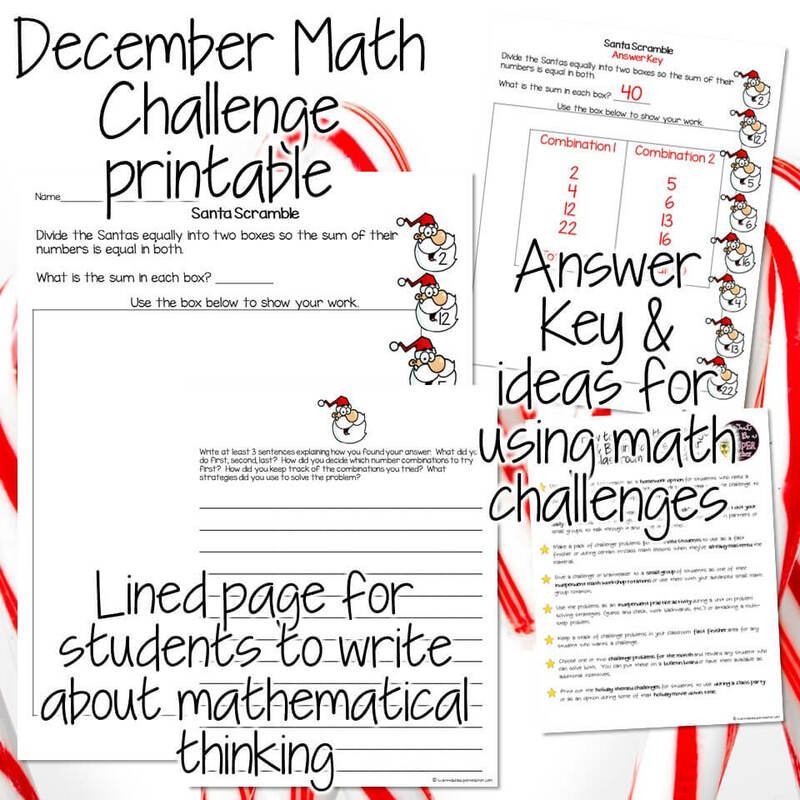 This December math freebie includes a math challenge problem focused on adding one and two-digit numbers, and logical thinking. Students are given eight numbered Santas and are asked to divide them into two groups with equal sums. 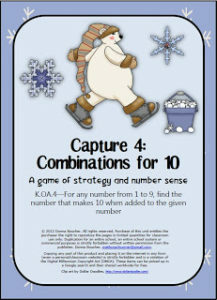 Students love the fun Christmas theme, and you’ll love how engaged they are with addition & mathematical problem solving. The free math printables also include a lined page for students to write about how they solved the problem + an answer key so you don’t have to think too hard about it. Just print and go! If you’re short on time, go paperless and project the math problem onto your screen or white board instead. Then have students work the math problem out on white boards. Just click Ctrl+L to display the problem page and you’re all set. 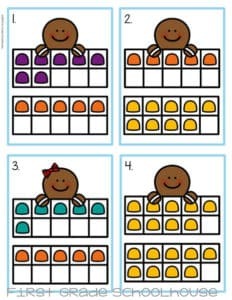 A fun Christmas number talk is ready in seconds!